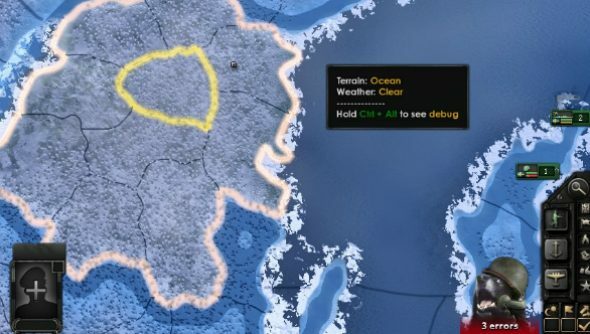 As if releasing two grand strategy games back to back wasn’t enough, Stellaris developers Paradox have claimed the next World War II game Hearts of Iron IV will be their ‘most moddable yet’. Looking for more historical warfare action? These are the best World War 2 games on PC. In the latest developer diary for HoI4, project lead Dan Lind spoke of the ease with which mods can be introduced to the base game after the adjustments the team has made. Whereas previously mods required hard-coding to alter country names, dimensions, properties and so on, a new tool the team has been working on will let you do it all through a simple in-game interface. Other improvements have been made to the entire language the game has been built on to make it more mod-friendly and prevent obfuscation. In some cases, such as the language AI was written in, that also included obfuscation from the development team themselves. HoI4 will arrive shortly after Stellaris on June 9, at which point you’ll be able to completely recreate the plot of Game of Thrones over the mission structure of Operation Overlord, or Asterix and Obelisk, or whatever you’re into.